Retaining walls add beauty to your landscape. You can use them to create beautiful outdoor living spaces and incorporate seating walls. 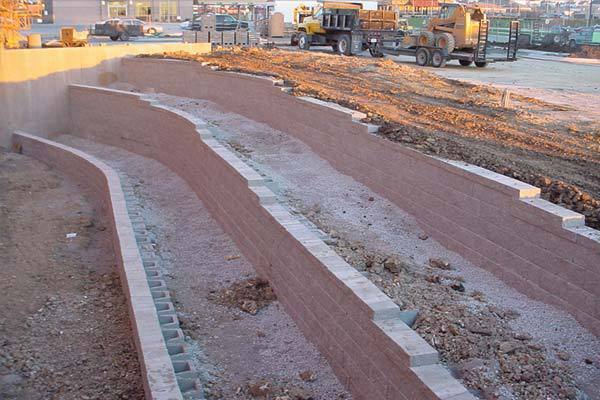 Retaining walls can be single, free-standing walls or part of a system of walls. They are designed to hold soil and water inside of them. They can incorporate draining systems to deal with stormwater and drastically reduce erosion. They also serve a practical landscaping purpose by dividing your yard into levels of terracing and landscape beds. 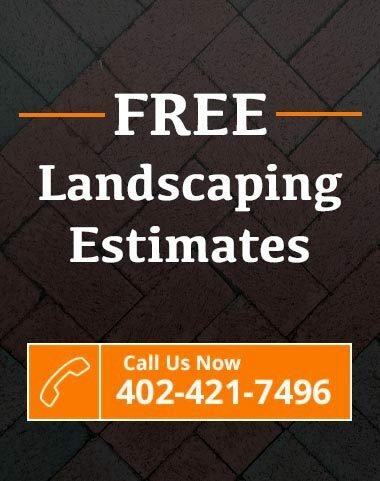 A retaining wall will be a strong barrier for your landscaping to hold soil in, deal with stormwater runoff, and give you more room to plant beautiful plants! Two types of retaining walls, gravity and reinforced. Gravity retaining walls are walls that depend on their own weight and setback to retain the soil and are typically shorter in height. Reinforced retaining walls are walls that use some type of reinforcement to give more strength to the retaining wall structure, thus improving its ability to retain the soils behind it. We refer to this reinforcement as geogrid or grid. Dreamscapes has been installing retaining walls for 30 years. Proper base preparation, compaction and proper drainage are key factors in retaining wall construction, regardless of your wall height. We take great pride in our gallery of residential and commercial retaining walls. Some are simple residential, and some are structurally reinforced with layers of geo grid, special soils and aggregates. A retaining wall can be an expensive investment in your property, don’t cut corners and do it once. 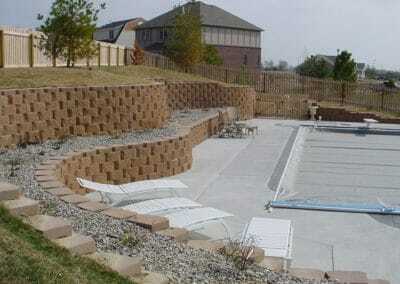 Dreamscapes specializes in technical and difficult retaining wall construction. Water correction is another area that will need addressed in a installation of a retaining wall. When should a wall be built with structural reinforcement? We use Geogrid reinforcement for walls that need structural reinforcing. Walls over 4’ in height should have structural reinforcement and or be engineered depending on soil type and height of the wall. Can I have curves in my wall? Yes, you certainly can! Curves, whether they are convex or concave, are a great way to soften the look of your wall.